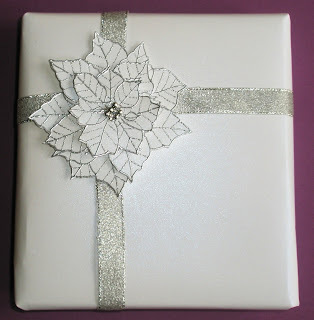 Here's an idea using the Medium Poinsettia stamp from Oak House Studio. 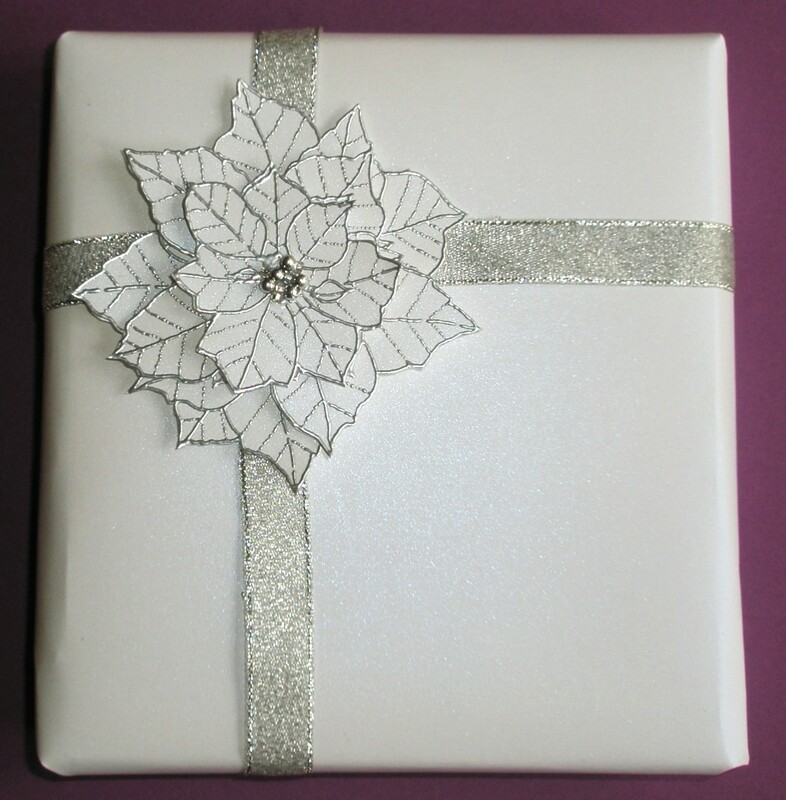 I've used some white pearl card, embossed the Poinsettia three times with silver powder and then cut different layers. I think the white and silver gives a sophisticated look and would be great for a wedding gift or a bridesmaid's present etc. You could match it to the wedding colours too....maybe colour the bottom layer or just add coloured beads to the centre.